Hocus pocus healthcare describes my approach to treating illnesses in my family using non –scientific methods. The reason I use this term is because “hocus pocus” are words that magicians use when something magically happens. The treatment options discussed seem to help symptoms, but I am not exactly sure why. Yes, each treatment option has theories about why it works, but those theories do not pass muster when it comes to being a proven remedy. 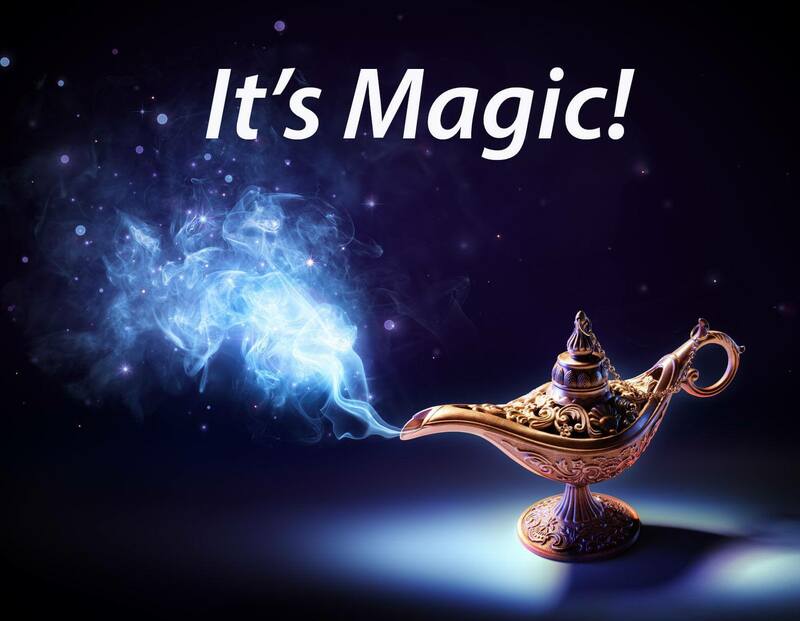 Perhaps they cause magic which induces the immune system to fight! I am a scientist and love facts. I love to know a medication, surgery or other recommended treatment has been tested and been proven to show reproducible effectiveness. My hocus pocus healthcare treatments do NOT fit this criteria. They are things that seem to improve illnesses which are not severe enough to warrant a physician visit or standard medications. At home with my family, I am not Dr. Burton but am simply a mom who treats illnesses similar to other moms. I was always reluctant to share my hocus pocus healthcare with my patients because they see me as “Dr. Burton” and not as a mom. Dr. Burton recommends a specific dose, a specific medication strength and a dosing schedule based on scientific studies and clinical experience. So, when my patients ask about my hocus pocus healthcare, I don’t feel it is appropriate to share my methods since I have no specific regimens. I typically give standard recommendations which include taking vitamins, getting plenty of rest, drinking water, eating nutritious meals, and taking Tylenol or Motrin for high fevers. Now, I share how Dr. Momma treats her family. Why? Because I grew up bathed it in, and I survived. The proper technique is vital. Slather on the chest and neck at night for that deep cough, put on an old Tshirt and let Vicks VapoRub work its magic! Rubbing the last bit of Vicks under the nose to allow the menthol to open the nostrils and help with sleep gives added points. Sleeping at night is important. So yeah, Vicks for every chest cold. My kids were too young to have tea, so I just used the hot water. Lemon has many benefits, but I like it for additional vitamin C to help boost the immune system. Honey dissolves in hot water to form little particles that stick on the sore areas on the back of an irritated throat. Tastes good and feels good. My family uses regular old grocery store honey because it is simple to get. But when I feel there is a REAL illness, raw local honey is used…because why not? It is controversial whether local or raw forms make a difference, but since this is hocus pocus healthcare, I step it up. 3. Rinse nose with salt water / Gargle with salt water. This actually does have a some science behind it. Salt water (saline) thins out the mucus which is produced during respiratory infections. The lining of our respiratory tract has hair cells called CILIA (SILLY-Uh). These hairs beat back and forth to help our respiratory tissues to clear away bacteria, viruses and pollen that attach. When mucous weighs down the cilia, we do not clear our airways as well. So, rinse and gargle away! There are 8 million oils, and many people overwhelmed me with their hocus pocus methods. I believe it works but not sure which method or mixture. Some people use only when sick while others use daily. I know about using a diffuser, ingesting them and rubbing on the body. Some people almost have a chemistry lab as they have figured out a recipe adding a few drops of this and some of that. The drops are added to a gelatin capsule and swallowed. Me? I use lemon essential oil in tea because a few drops provides a powerful amount of lemon instead of squeezing the whole bottle of grocery store lemon juice. Lavender oil is also used at night to help me sleep. I rub some on the soles of my feet, my temples and my wrists. Does it help? I don’t know, but it smells DIVINE as I drift off to sleep. Sovereign Silver is my grade A hocus pocus go-to treatment! A patient told me about this years ago, and it sounded intriguing. I bought a bottle and just looked at it for a long time. And then my child had a prolonged illness when she was in middle school. Like awful in the chest and couldn’t breathe. I was thinking about an ER visit. For a doctor to have a middle of the night ER visit…that’s huge. I pulled out this bottle and put 5 drops under her tongue. She held each drop for 30 seconds before I added the next one. Then I resumed the Vicks, saline washes, hot water with lemon and honey. I repeated again a few hours later. Because, why not? I will NEVER forget what happened next. My daughter woke me and asked…what was in that stuff? She felt so much better. Boom! I was sold. Since then, I always keep a bottle at home. Full disclosure: I did research before using it. Colloid silver has a terrible reputation for allowing particles to collect in tissues and turning the skin blue! My scientific brain continued the research and found it was based on the particle size. Cheaper versions have cheaper manufacturing with larger particle size. Sovereign Silver is the only colloid silver I use because it has the smallest particle size and people don’t turn blue. This is where brand name is important to me. These tips are from my personal experience and in no way suggest that you will achieve any similar results. 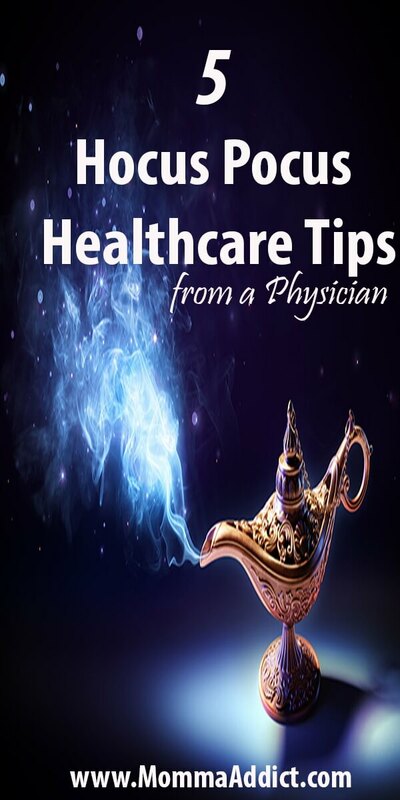 But also stay tuned for my next post which shares hocus pocus healthcare tips used in the homes of other healthcare providers!